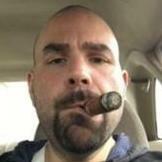 PapaDisco replied to Stump89's topic in Cigars Discussion Forum "the water hole"
Baby name rules: 1. An elegant long form (for when she's signing multi-million dollar deals, treaties, declarations of independence, that sort of thing) 2. A handy short form (nickname) 3. The initials can't form anything derogatory So that means that Punch Immensos Stump89 is off the table . 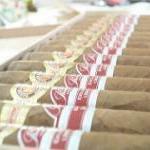 . .
Golden age of cigars: what do you think? PapaDisco replied to Derboesekoenig's topic in Cigars Discussion Forum "the water hole"
PapaDisco replied to Shelby07's topic in Cigars Discussion Forum "the water hole"
PapaDisco replied to toledo1969's topic in Cigars Discussion Forum "the water hole"
Dang! Aren't you the affordable deal! PapaDisco replied to BarryVT's topic in Cigars Discussion Forum "the water hole"
Depends on the breeze. Indoors with no fans going, I'll light the foot with a soft flame or long match, going for that perfect cherry just as the jet flame guys aim for. In any other situation with a disturbing air flow I'll default to the jet alone, or even a puff or two if necessary. PapaDisco replied to El Presidente's topic in Cigars Discussion Forum "the water hole"
I don't believe there is a strict code at Club Macanudo in NYC. I go there 7 or 8 times a year and see a fair number of folks dressing down. It's still mostly suits, but I'm guessing that's more about the after work crowd. They might not let you in wearing shorts, flip flops and a ripped t-shirt, but I've seen plenty of golf shirts and jeans. Any of you news hounds catch the Fox News tape last Thursday: "Trump cancels aid to 3 Mexican Countries"? Hmmm? Go CNN! Oh shoot that really would be confusing. Just about everything the kids try to grab is a "Put out your eye" thingy. I think you have to split the rankings into some sort of classification for it to make sense. 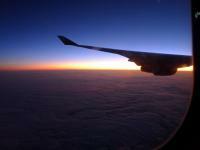 Big International Airports, Regionals, and, what would you call the third category? 'Adventure Airports?" Big American international airports are pretty bad, but mostly when compared to their foreign counterparts. I'd give the basement a go when you expand to your next coolerdor, and feel free to leave your current stash upstairs and accessible. Probably the only thing I'd prioritize is going to something with better insulation to slow down your temperature swings. So if you're keeping a few things in a thinly stocked tupperdore, maybe consider switching that to a cooler. Although, truth be told, a damn big tupperdore stocked full of boxes will have enough mass that it will be quite slow to swing the 7F that you're seeing upstairs. Anyway, I'm a fan of stable temps, whatever your choice of specific number. Most of my cigars are in a 65/65 cellar, in big Tuppers well stocked with 65rH Bovedas, and with a dehumidifier for the room standing by in just in case. I also have cigars stored at a much higher ambient temp in SE Asia, and they were all a bit off for the first 6 months or so and have since settled down over the years and now smoke fine. I prefer the stogies from the cellar, but the ones here are good too. I just think that aging in a calm, cool, collected environment is better for the aging 'chemistry' just my theory, no science to prove it. Cardboard packs in the heat get stained and discolored quite a bit faster than in the cool storage, so I take that as a sign that I'm losing tasty volatiles to some small degree in the heat. But if you've got those puppies boxed up in cedar cabs, in tuppers, then those volatiles have fewer places to go. Anyway, just my rumination on it. Of course they count as subsistence! That's practically Fine Dining! Quit yer whining! 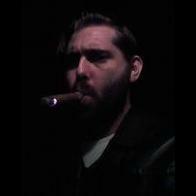 PapaDisco replied to captain's topic in Cigars Discussion Forum "the water hole"
Lately it's been Punch Punch, Epi 1, and Upmann Mag 50. I used to bring churchill formats, but they seemed to have a tougher time burning right in high heat and humidity conditions. I've gotta agree on LAX, it's the pits. In general I think the developed world, and American in particular, is over represented in the "lousy airport" category. Some of the smaller regional airports (MSP, RDU) are fine examples of well turned out regional fields; but our big international airports can't compete with the quality being built in Asia. HKG, SIN, ICN, are spectacular examples of terminals (and the transportation to them) being done right. In the U.S., even when we spend $$ on an expansion or retrofit it still seems inadequate. IAD (Dulles) had a multi-billion dollar addition to finish the original terminal (which I still love the Saarinen design) and replace the moon-buggy transports. Unfortunately the designers didn't seem to remotely take "human scale" into consideration and you'll walk a damn mile to the train on one end only to walk another mile when you get off. It would have been shorter to just lay in a foot trail from the terminal to the midfield terminal and have us all walk out. And personally, I miss the boarding from the moon buggies 🤓 I think the updates to the terminals at LHR (Heathrow) are great, but you can walk a half-marathon getting to your gate there. Still, I find their security quite user friendly and super tight (it flagged an empty perfume cartridge in my wife's luggage once), but despite the high security they always seem to move the line along. I'm not a fan of any of the NYC airports. In Europe Brussels is one of the most disorganized and you find a sea of flights that are gate holding in order to collect all of their passengers. It's clearly a situation they are well used to and everything runs on time-plus-50-minutes. PapaDisco replied to MoeFOH's topic in Cigars Discussion Forum "the water hole"
PapaDisco replied to Fuzz's topic in Cigars Discussion Forum "the water hole"
Any hidden talent? Or just ones your wife doesn't know about? ?